The majority of our current concepts relating to the biomechanical aspects of human injury have come from research that may be described as macroscopic in nature. To this end human cadaver specimens, various animal models, anthropomorphic test devices, and both analytical and numerical simulations have served as the primary tools of investigation in our field to date. 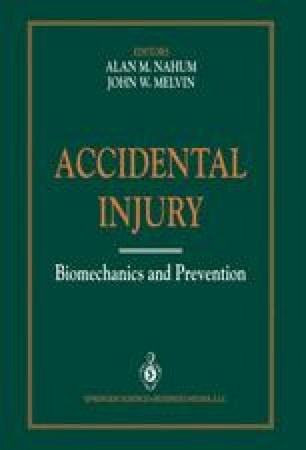 Collectively, the research findings from this endeavor have been responsible for the contemporary views of human injury tolerance criteria and they have led to numerous standards and regulations, and to the design of a safer mechanical environment.